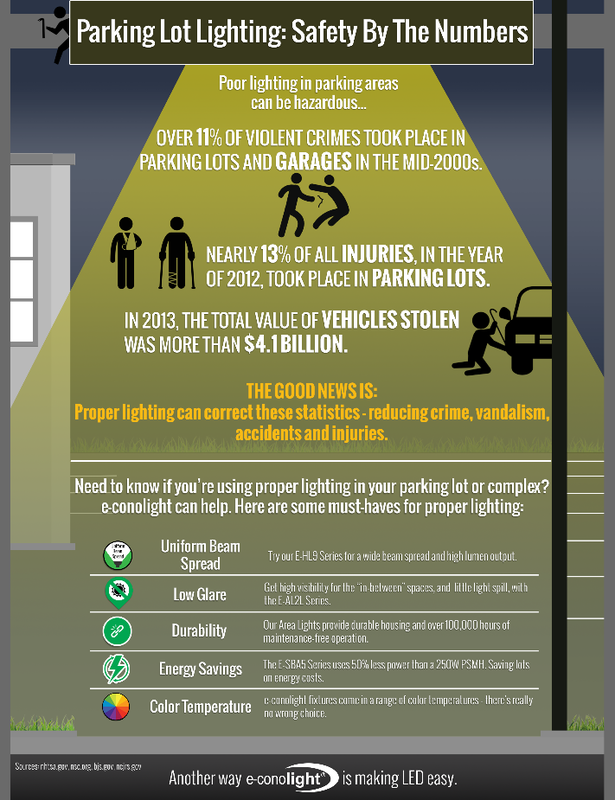 Over 11% of violent crimes took place in parking lots and garages in the mid-2000s. Nearly 13% of all injuries, in the year of 2012, took place in parking lots. In 2013, the total value of vehicles stolen was more than $4.1 billion. Uniform Beam Spread: Try our E-FFA26 Series . Low Glare: The E-APA23 Series is the best for high visibility. Durability: Check out our Area lights for low maintenance operation. Energy Savings: The E-SBA5 Series use up to 50% less power.